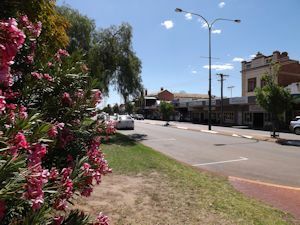 The region is known for agriculture; approximately 40% of Western Australia’s wheat production comes from a 100km radius around Merredin. Sheep farming is also popular in the region, along with production of many grains other than wheat. 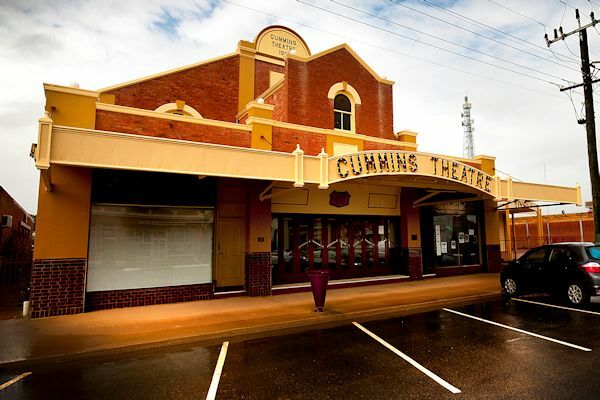 Some attractions include the historic Cummins Theatre, Merredin Peak, Merredin Railway Water Tower, two museums, an art gallery, the longest grain storage facilities in the Southern Hemisphere, as well as the remains of military installations from the town's role as second line of defence, during World War II. Wildflowers and granite rocks are also a picturesque natural environmental feature of the area. Hot, dry summers and mild winters are enjoyed with an average maximum temperature of 24.70C and an average minimum temperature of 10.6°C. The temperature remains in the low 30’s or above between December and February. The average annual rainfall is 314 millimetres, with wettest months usually being May until August. Weather conditions in Merredin are well suited for aviation pursuits; the Merredin Aerodrome, owned by China Southern West Australian Flying College, specialises in training commercial airline pilots. The Australian Bureau of Statistics website also has information in relation to your local government. Click here to view information from ABS in Merredin.